"I do not believe that the candidate the committee has recommended as its number one choice commands ... respect amongst the academic community." 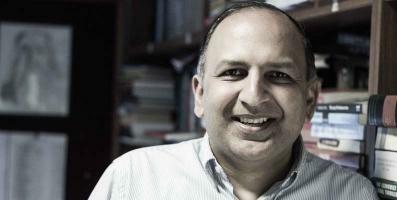 On Friday, Pratap Bhanu Mehta, a member of the executive committee (EC) of the Nehru Memorial Museum and Library (NMML) resigned from his position to protest the manner in which the institution’s reputation and integrity were being compromised by attempts to foist a politically-connected bureaucrat as director. The bureaucrat in question is Shakti Sinha, an Indian Administrative Service officer who had worked as private secretary to Atal Bihari Vajpayee when he was prime minister of the first BJP-led National Democratic Alliance government at the Centre. 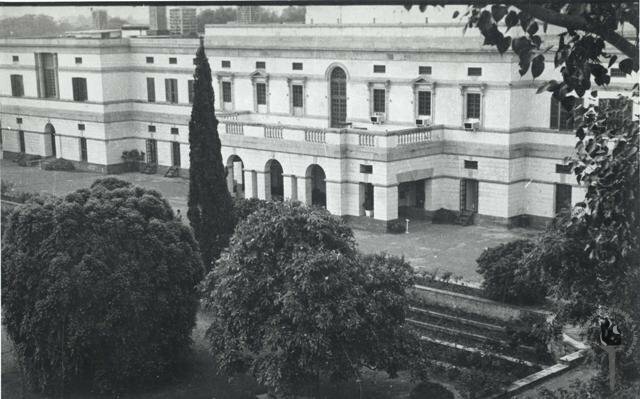 The NMML is the country’s premier institution for research on modern Indian history and has so far been headed by directors who have had a reputation as scholars. The previous director, Mahesh Rangarajan, resigned last year in the aftermath of statements by senior BJP leaders, including Union culture minister Mahesh Sharma, expressing unhappiness at the NMML’s orientation. The Wire has learned that a decision to appoint Sinha to the job was taken as early as the third week of July 2016. Soon after, on July 22, an advertisement for the post of director was issued which tweaked the required qualifications to include “administrators” and not just eminent scholars. When the applications were scrutinised, the selection committee – headed by minister of state for external affairs M.J. Akbar – placed Sinha at the top of the list. Rather than be party to Sinha’s appointment, Mehta, who is an eminent political scientist and heads the Centre for Policy Research in Delhi, has preferred to resign from his position on the EC. Appended below is the full text of the letter of resignation he sent on Friday, August 11, 2016, to Lokesh Chandra, chair of the NMML executive committee. 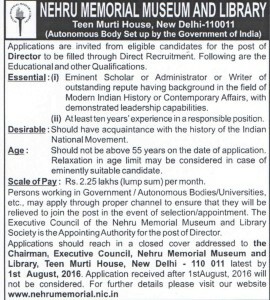 I write to submit my resignation as member of the Executive Committee of the Nehru Memorial Museum and Library. I was appointed to the Committee by the present government. But developments of the last few weeks lead me to conclude that NMML is heading in a direction that makes me uncomfortable. Under such circumstances, I feel I will not be able to contribute to the institution in any meaningful way. It is therefore right that I step down. As you are aware, I have recorded my note of dissent against the recommendations of the selection committee. I believe the committee, in making its recommendations, has acted in deep haste, in a way that will harm the long term reputation of a distinguished institution like NMML. 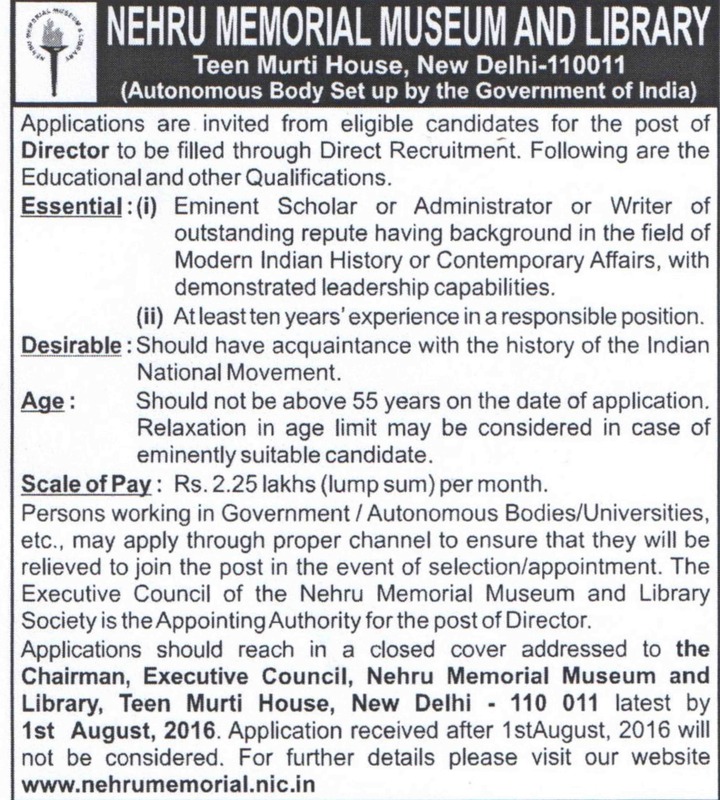 NMML has a wide remit, much beyond its function as a memorial and library. It is central to the world of historical scholarship, and can potentially be a great contributor to the world of ideas more generally. It is important therefore that the head of the institution be someone who commands intellectual respect. I do not believe that the candidate the committee has recommended as its number one choice commands such respect amongst the academic community. I am not in a position to comment on his abilities as an administrator. But nothing in the track record of this candidate leads me to believe that he can provide the kind of exemplary intellectual leadership NMML needs at this point in its history. Appointing an administrator who does not have the requisite track record in the field of scholarship, or the world of letters more generally, sends a very bad signal about the stature of NMML as an institution. I believe that the appointment of such a person also violates the spirit in which the executive committee had revised the qualifications for the post of director. As I had pointed out in the meeting of the selection committee, the advertisement we put out was at variance with the formulations of the executive committee. This advertisement paved the way, in a way in which we had not intended, for a pure administrator to be considered for the position. This advertisement was not approved by the executive committee. It is the committee’s (and the government’s) prerogative to marginalise academic considerations if it so wishes. But I hope you will understand that I cannot be complicit in this marginalisation. The committee should take into account administrative experience or demonstrated leadership skills. But sending a signal that completely marginalises issues of academic credibility, scholarly credentials, or larger contributions to the world of ideas or thinking does not befit an institution of the stature of NMML. It is the committee’s (and the government’s) prerogative to marginalise academic considerations if it so wishes. But I hope you will understand that I cannot be complicit in this marginalisation. The advertisement that Mehta says the executive committee never approved. As I had pointed out in the selection committee, the overall pool of applications was not worthy of an institution of such importance. That may have partly been the result of the process: a very tight deadline was given to applicants; the committee was given no time to do any outreach to potential candidates after the advertisement appeared. But I also suspect the reason the application pool was disappointing was this. There is an impression that good academics will find it very difficult to function in the institutional set up we have created, with its multiple political and administrative pressures. We can debate how this impression has been created. But we have to come to terms with the fact that we are doing everything to exacerbate the impression that leading institutions are hostile to academics of genuine accomplishment and promise. We are not even seeking them out, or persuading them to provide intellectual leadership to major institutions. This appointment will, I am afraid, exacerbate that impression. Since I have put in a note of dissent, I do not wish to encumber my colleagues and the incoming director with my presence on the committee. It will only create more awkwardness all around. I respect the right of the committee to take the institution in whichever direction they think fit. But I hope equally that the committee will understand my reasons for resigning. My colleagues have been wonderful, and a great source of learning. But when it is clear that the chasm between our visions of the kind of director NMML needs is so deep, it is time to bow out. I respectfully submit my resignation, and request that you forward it to the appropriate authorities. I shall, always, remain a friend of the institution and the highest ideals it should stand for.